I love this theater/broadway themed wedding for Anatalie & Bruno. 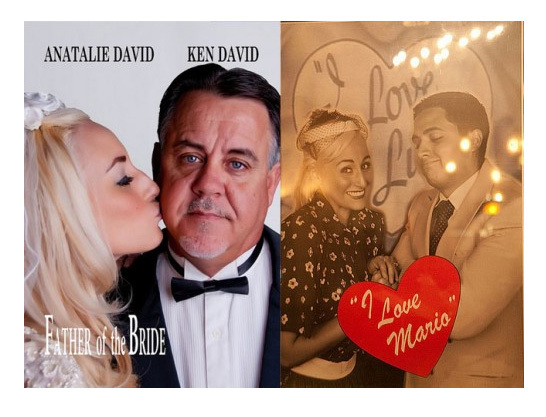 They re-enacted four movie posters and hung them throughout the venue (Grease, Father of the Bride, I Love Lucy, and Super Mario Brothers). Great idea, right? Below is a picture of two of the posters. You can see more pictures of their fantastic wedding at Off Beat Bride.